From sunny Southern California, Highmark produces high quality– simple chairs. They believe that healthy, ergonomic seating shouldn’t be complicated; it should be simple, all while being 98% recycled and assembled in the USA. 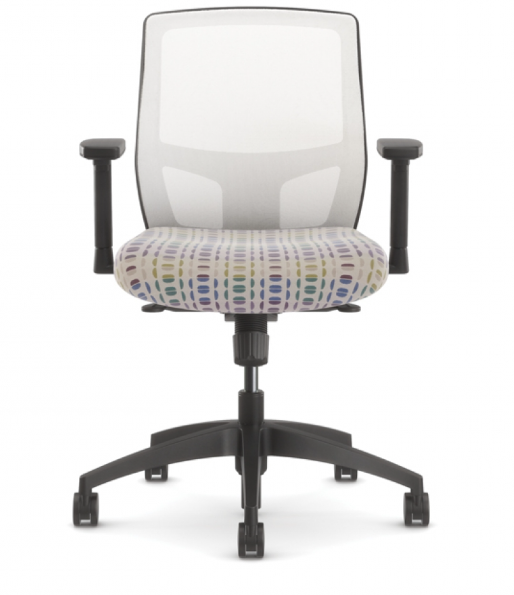 The Highmark Airus hits all the right points when it comes to a reliable task chair. This comfortable chair looks great in any office. It has 7 options for breathable mesh back colors, and extensive options for seat colors on top of a memory foam set. With no paddles and no DVD training sessions, Highmark has made getting a new task chair a simple affair. Airus has integrated back height adjustment capability, the option for height and width adjusting arms and the option for a seat slider. It’s Body Balance technology automatically adjusts to all users, from 100 to 300 lbs – there’s an option for everyone. We love Airus because of how easy it is, but also because of how comfortable it is. The back support and foam seat work perfectly to keep you feeling good all day. Let’s fine an easy to use task chair for your perfect space.